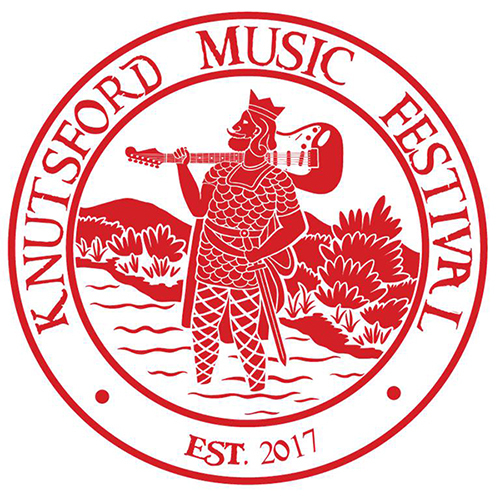 Knutsford Town Council approached me to design a logo for their new event, Knutsford Music Festival. They had a set idea of what they wanted which involved adapting the 125 year old logo of the former Urban District Council where King Canute stands fording the river (Canute’s Ford = Knutsford). I swapped out the axe he was holding and replaced it with a Fender Stratocaster. They’ll be using the logo as the main branding for their event both in print and digitally.